It is widely believed nowadays that leprosy was the cause of the death of King Robert I (better known as Robert the Bruce). With the onset of this terrible illness he would have known for a while that death was approaching and so not surprisingly he planned for his demise. What was surprising was the outcome of his planning. He spent his last few years at his house at Cardross Mains, just a little up the River Leven from Dumbarton, and it was there that he died in 1329. The King wanted his body to be buried in Dunfermline Abbey alongside that of his second wife, Elizabeth de Burgh, who had died two years earlier. Furthermore, Dunfermline Abbey had been the resting place of other Scottish kings. He was buried before the high altar of the Abbey underneath a splendid marble tomb imported from Paris but, as we shall see in a moment, not all of his body went there. The Reformation in 1560 and the collapse of the central tower of the Abbey in the eighteenth century destroyed the King’s tomb. However, his grave was rediscovered by workmen in 1818 and some six months elapsed before his body was buried beneath the pulpit of the reconstructed Abbey. It is widely believed that several fragments were removed from his body during this period. These include a toe in the Hunterian Museum at the University of Glasgow, a bone fragment (perhaps from a finger) in St Conan’s Kirk at Lochawe in Argyll, and a further bone fragment in the museum of Dunfermline Abbey, and two of his teeth are in the possession of his kinsman, the 11th Earl of Elgin. In those days if a body was to be transported a long way for burial, there was obviously the risk that it could have decayed significantly before it arrived there. This risk could be reduced if the inner organs or viscera such as the liver and kidneys were removed as soon as possible after death. Research in recent years has indicated that this happened with Robert the Bruce, and that these enbalmed organs were buried on the same day as the rest of his body was buried in Dunfermline. They were taken a short distance down the River Leven to St Serf’s Parish Church, Little Kirkton; it later became known as Cardross Old Parish Church and its ruins stand in Levengrove Park in Dumbarton. However the intriguing part is yet to come. During his lifetime Bruce had always wanted to emulate his grandfather by taking part in the Crusades against the Moslems who were in control of the Holy Lands. However, the turmoil of the wars to regain Scottish independence from England meant that Bruce was never able to carry out his wish during his lifetime. 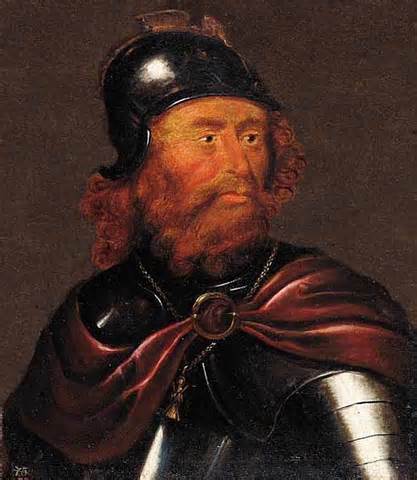 Consequently, he asked Sir James Douglas (sometimes known as The Black Douglas or Good Sir James) if he could ensure that his heart was removed from his body after his death and then carried in war against the enemies of Christ. Furthermore, the King wished his heart to be buried in the Holy Sepulchre in Jerusalem where Christ himself had been entombed. Consequently after his death Douglas had the King’s heart placed in a silver casket, and he then set off with a group of Scottish knights to carry out the King’s wishes. On his travels through Spain, Douglas was asked by King Alfonso XI to help him recapture the strategic Castle of the Stars (Castillo de la Estrella) at Teba de Ardales in Andalusia – an event commemorated on a plaque there. Carrying the heart, Douglas went into battle against the Moors on 25th August 1330, but, as he fell mortally wounded, he threw the casket towards the enemy shouting, “Now pass on, as ever was thy wont in life, first in the fight, and Douglas will follow thee or die.” As a result, the Douglas crest to this day includes a heart. After the battle, the King’s heart was returned to Scotland by the surviving knights, Sir William Keith and Sir Simon Locardof the Lee, and, according to legend, buried in the grounds of Melrose Abbey in the Borders. For many years no-one knew whether or not this legend was true, but in 1921 a lead casket containing a human heart was found at Melrose; it was reinterred, but the site was not marked. A fresh excavation in 1996 produced the casket again. Although several hearts were known to have been buried at Melrose, written records existed of only one, that of Robert the Bruce. There was therefore the strong probability that the heart belonged to Scotland’s hero king, and so it was reburied two years later This time the site was marked with a suitably engraved sandstone, marker bearing the following words from John Barbour’s epic poem The Brus written in 1375. ANoble Hart may have Nane Ease gif Freedom Failye (A Noble Heart may have No Rest if Freedom Dies). Afitting end to a fascinating tale.